Please see our player page for Matt Carpenter to see projections for today, the next 7 days and rest of season as well as stats and gamelogs designed with the fantasy baseball player in mind. Are you triggered by Grey’s Jose Ramirez “Schmohawk” post from earlier this morning? Do you want to yell at him through your radio while he explains his Jo-Ram shade? 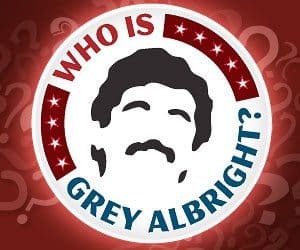 Look no further than the Razzball Podcast, where Grey talks, and won’t answer you back as you scream obscenities. It’s a great relationship you two have… Lucky for you Grey has plenty of other goodies to share on which third baseman he thinks you should target. If you don’t know by now, Grey has a mystical “Kavorka” capable of causing injuries, poor play, or both. Just ask Kyle Schwarber. Any the who, we run through the third base ranks, running so deep that the end of the show is all about players that have yet to be born. It’s no joke! It’s all on the latest episode of the Razzball Podcast! 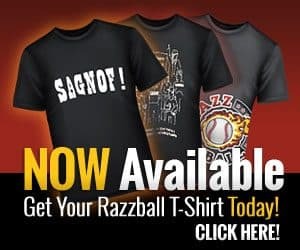 Bee-T-Dubs, don’t forget to checkout the new Razzball shirts over on Rotowear.com!